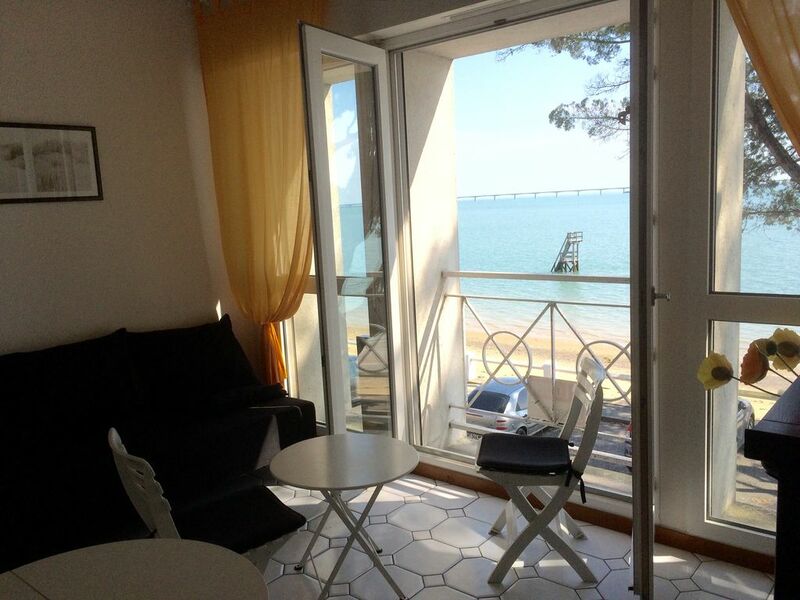 Nice apartment, facing the beach, for 4 people. Located on the 1st floor of a small residence with 10 dwellings. It consists of a main room with sofa bed (140), a kitchen with a fridge / freezer, electric hob, microwave. a flat screen TV. A room with 1 bed 140, numerous tidying up, a room in mezzanine with a bed 80. A bathroom / shower, washing machine. Separate WC. Harmonious decoration. Private bike room on the ground floor. Public parking nearby. Pets accepted with the agreement of the owner. A deposit of 350 € is required and will be refunded within one week. Appartement très bien placée. En octobre, un calme général. Propriétaire à l'écoute. J ai remédié au problèmes de l’a tele en rebranchant la prise d antenne au bon endroit.